The one book that every speaker looking to book more gigs and get paid higher fees must have. 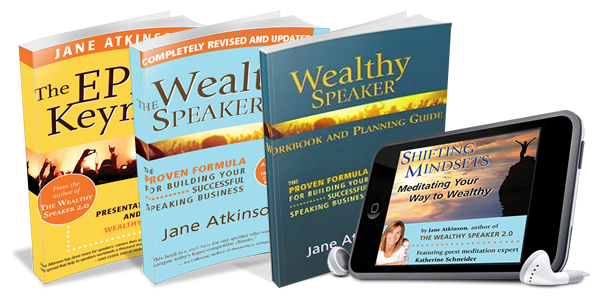 The Wealthy Speaker 2.0 helps you navigate through the minefield of costly marketing mistakes made by many speakers trying to build a successful business. Position yourself in the market as an expert. Develop language that will get you noticed by decision makers. Design a website that is heads above the others. Put together an easy to follow social media strategy. Move your fees up the ladder more quickly by doing the right things consistently.